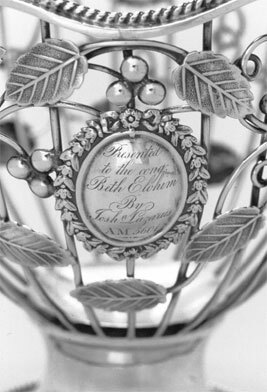 When Beth Elohim’s new synagogue was dedicated in 1841, building committee chairman Joshua Lazarus presented this silver basket to the congregation. Originally lined with blue glass and intended as a sugar bowl, the basket likely was used to carry an etrog, a yellow citrus fruit, during the celebration of Sukkot. 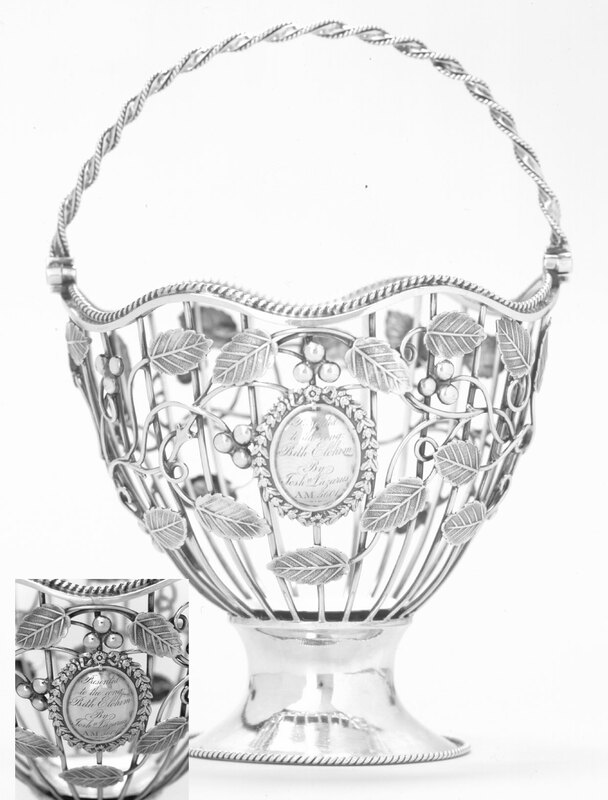 The congregation’s valuables were sent to Columbia for safekeeping during the War Between the States, and in February 1865, when General W. T. Sherman invaded the capital, the silver basket vanished. One hundred years later it turned up in an antiques shop in Connecticut, and in 1986 was repatriated—donated back to Beth Elohim by the couple from New Jersey who purchased it.